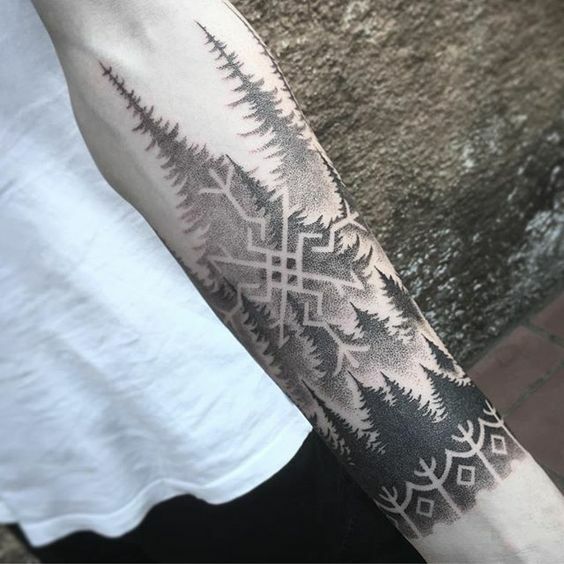 Nordic tattoos are not very popular, though we believe they should get more attention. Therefore, we have gathered some of the best pictures – keep reading to see them all! 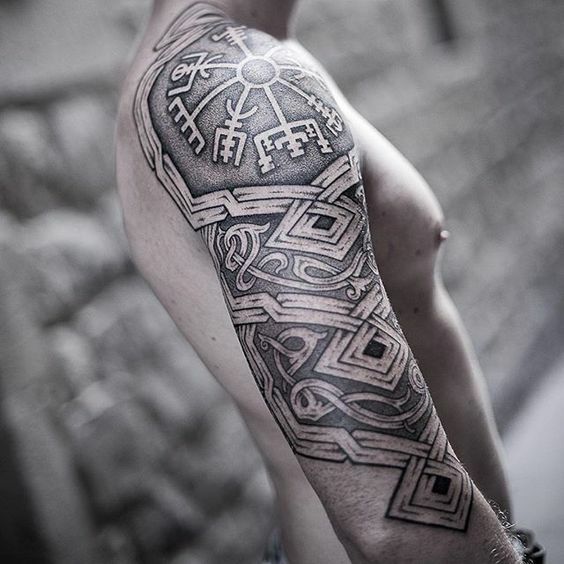 If you’re passionate about the Nordic culture and everything about Vikings, then Nordic tattoos are a perfect choice for you. Runes, old patterns, swords, ships – these and other symbols portray the Nordic culture. To begin with, we must say that there isn’t exactly such style as nordic tattoos. It’s instead a term to describe a few different tattoo styles that are related to the Scandinavian region and its culture. Most of these tattoo ideas come from the ancient Nordic people – Vikings. In the past few years, Vikings gain massive popularity due to the pop culture influence. As a result, more and more people want to get nordic tattoos. The primary purpose of the runes was of course to deliver a message — it was their alphabet. However, it had a much deeper meaning. The ancient Nordic people used runes to protect themselves from all kinds of evil – spirits, enemies, etc. Each rune has its purpose and meaning, so be careful when you choose a particular symbol. Otherwise, you may be carrying something you would not want to. Viking symbol Inguz tattoo which means: where there is a will, then there is a way. 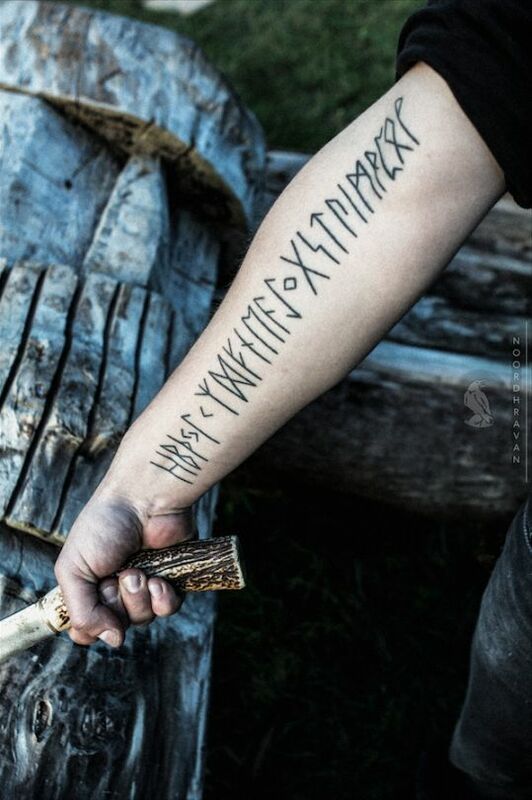 Another type of Nordic tattoo is staves. 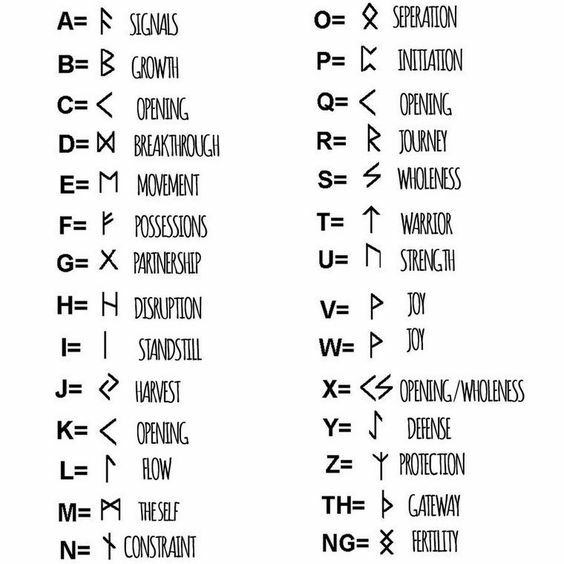 These are magic symbols, and their usage was similar to the runes. However, they were not a form of communication. Anyhow, all of these symbols carried a mystical meaning. Also, they look beautiful on whichever body part on both men and women. The best-known symbols are the following. Valknut (aka Odin’s Knot) – a symbol of Odin‘s power. Ægishjálmur or The Helm of Awe. Vikings used to paint this symbol on their foreheads as a protection during the battles. They also believed that Ægishjálmr made them invincible. Vegvisir – another nordic symbol which is often in Icelandic culture. There is no information about whether the Vikings used Vegvisir as a magical symbol. However, judging by its form, Nordic people were probably using it as a solar compass. Yggdrasil – another Nordic symbol which means the Tree of Life. This symbol comes from the Scandinavian mythology and connects the nine worlds. Last but not least – check out the photos below. There are numerous options of Nordic tattoos, but try to be creative. Also, if you can’t find the perfect idea, take your favorite ones to your tattoo artist, and he will do a unique design for you.